Imagine a war that changed the landscape of Europe in ways we can still see today. That mowed down a whole generation of young men. That – for the first time ever in human history – reached every corner of the globe. 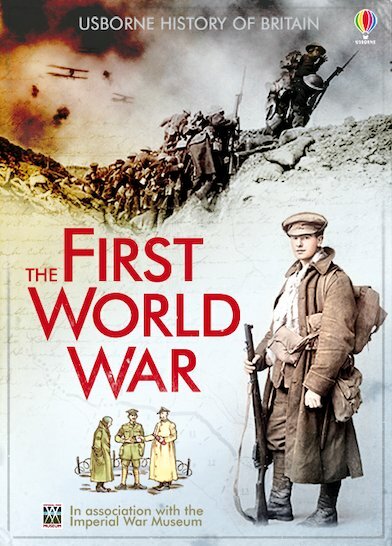 In facts, photos, maps, posters, cartoons and real-life voices, this book tells you the story of Britain during the First World War. The terror of the trenches (where boys as young as thirteen fought and died). The onslaught of U-boat warfare. A four-year conflict that cost millions of lives and shocked the world with the ferocity of its slaughter. Right now, it’s a century since the War to End All Wars. Read and remember. Never forget.